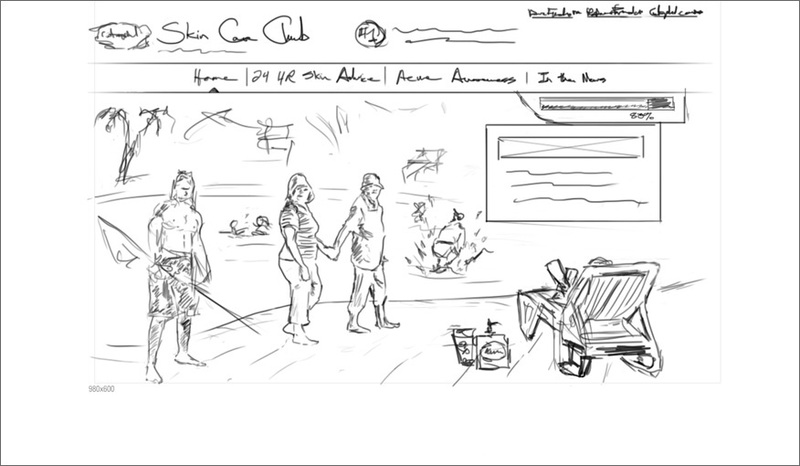 The intro page composited to depict a summer scene. An interior page set up with a clock system. The hands of the clock move as the user progresses through the site. A quiz with progress bar that rewards the user with a coupon. The initial mockup of the site during the conceptiual phase. 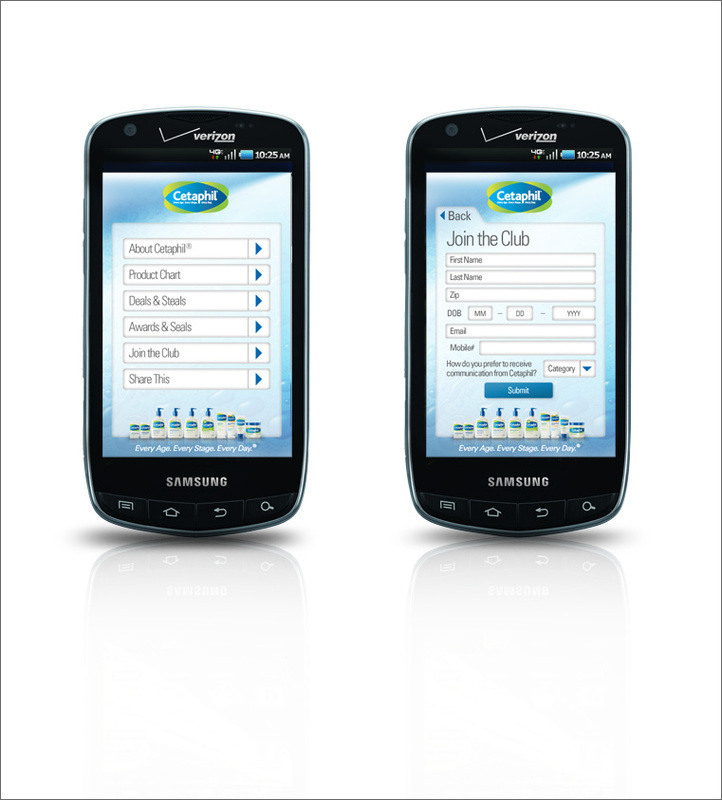 A mobile interface to the Cetaphil site.